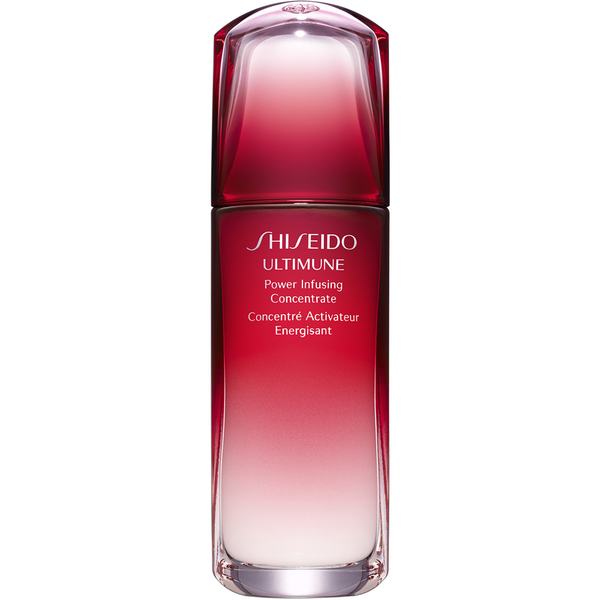 Experience a healthy-looking, brighter complexion with the Ultimune Power Infusing Concentrate Serum from Shiseido. Suitable for all skin types and ages, the satin-textured concentrate absorbs quickly into skin to smoothen out fine lines and wrinkles, revealing a firmer appearance. Restores youth so you can experience soft, supple and radiant skin. Apply after cleansing and before moisturising both morning and night. Press the pump twice to dispense the concentrate into the palm of your hand and smooth it evenly over your face.